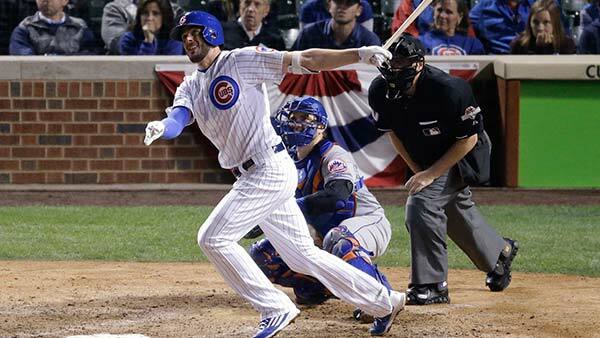 CHICAGO (WLS) -- The Chicago Cubs' Kris Bryant was voted Sporting News' National League Rookie of the Year by his peers in the National League. Sporting News announced the honor Monday on their website and Twitter. The award is voted on by 167 National League players and reflects, Sporting News said, "the kind of respect he earned from his peers." Bryant received 127 votes; Matt Duffy of the Giants came in second with 22 votes. Bryant was a power hitter for the Cubs in the last six weeks of their season, and was an integral part of the dazzling team that took the Cubs to the National League Championship Series for the first time since 2003. IN the 2015 season, he hit 26 home runs, 99 RBIs, scored 87 runs and stole 13 bases.